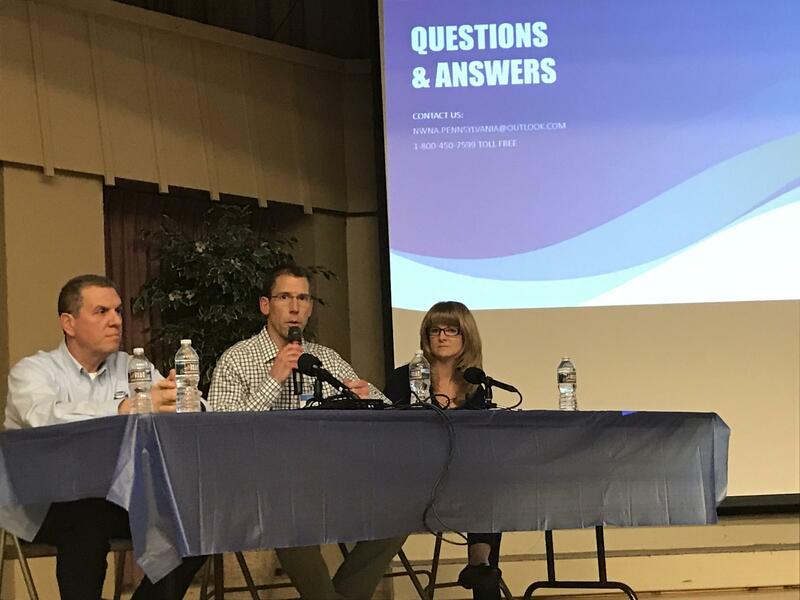 Nestle Waters representatives at a public information session on the proposed water bottling facility. The proposal has opponents and supporters, including the Bellefonte school board. The Nestle project would mean about $159,000 dollars in taxes for the school district. The resolution also points to possible learning and internship opportunities. But, the plan is facing opposition from some area residents. They’ve raised environmental concerns and questioned whether Nestle is being open and up front. Musser said he thinks the project will be a good thing for the area. “I understand people are a little agitated in certain areas," he said. "But when you really look at the scope, I have confidence in the Spring Township Water Authority that they’ve done due diligence." Opponents are expected to attend a Spring Township Water Authority meeting March 28.